As you might know, I just moved to St. Louis. As heartbroken as I was to leave Chicago, I'm eager to start this next chapter (pun intended) and explore my new city! And like any good book blogger, my first priority is to find great local bookstores. Unfortunately, I moved to STL on Saturday, January 6th then left for work in Indiana on the 9th leaving me no time to visit all of these book stores on my own. So I did a little research online and these are the book stores I'll be visiting as soon as I'm back in town! 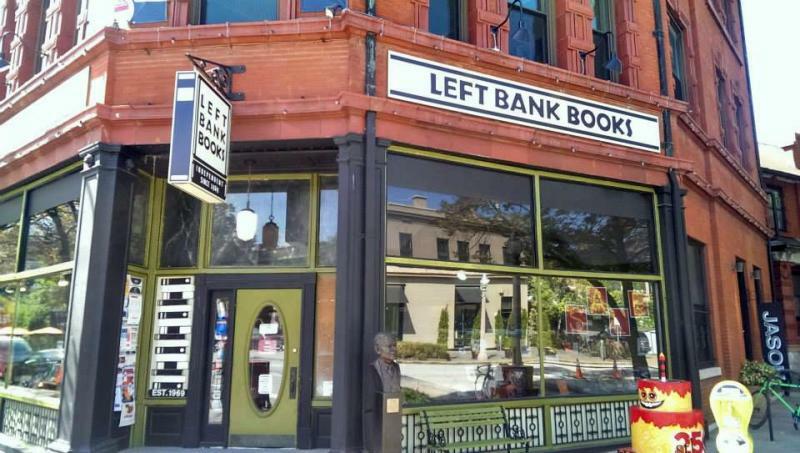 Left Bank Books is the first book store mentioned by almost everyone I've talked to in St. Louis - they are quite popular (and the oldest book store in town, according to their website.) They host NINE book clubs that meet regularly and are very involved in the community. They are located in one of my favorite neighborhoods in STL: Central West End. This is one of only two book stores on this list that I've visited when in town visiting my family. They have a philosophy that says everyone should leave feeling better than when they arrived - I love that! 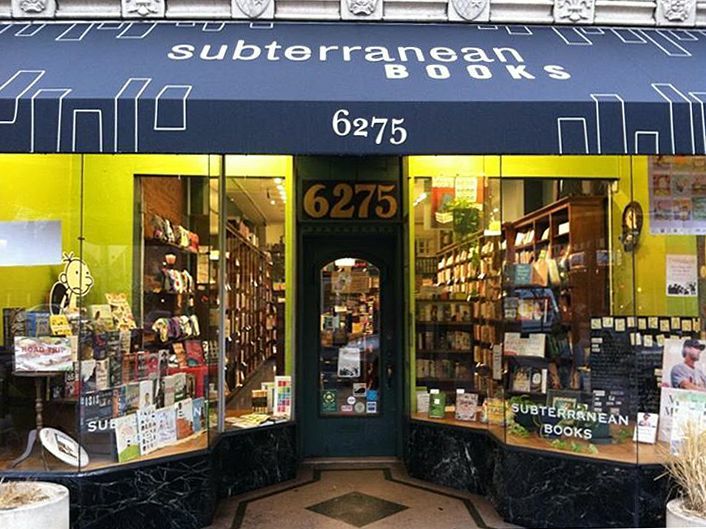 Subterranean Books (affiliate link) is a woman-owned book store! When perusing images on Google of Subterranean Books I spied a picture of a dog roaming the stacks, so here's to hoping they have a resident dog on staff! If not, that's okay too. ;-) They opened back in 2000 and offered a frequent buyer program that, once you sign up, automatically tracks your purchases so that you can get your reward without carrying around a card with you (I never seem to have the right card with me!) So if you're a frequent reader, like me, these programs are a nice benefit! 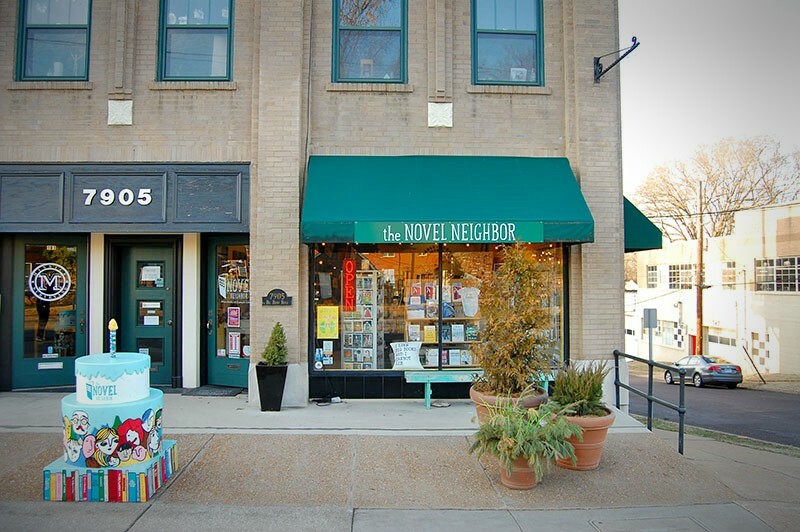 The Novel Neighbor gets my vote for cutest name. They also combine my two favorite interests: books and art! In addition to selling books, they also sell original works of art and feature an artist in residence program. I'm pretty excited about checking out the art they're featuring (and you know I could never leave without buying another book!) They also have some fun events listed - I'm going to stop here and check my calendar to see if I can fit any into my schedule! Main Street Books is the book store that is closest to where I live - so it is likely that I'll quickly become a regular here. This is the only other book store on this list that I've had a chance to visit already. I love that in their History section on their website they also talk about the history of the building they're in (did you know I was a member of the Chicago Architecture Foundation and one of my favorite weekend activities was to go on their walking tours?) Also on their website they talk about the benefits of supporting local book stores, which I love! They are located in historic St. Charles, which is a great place to just walk around and explore on a nice day. 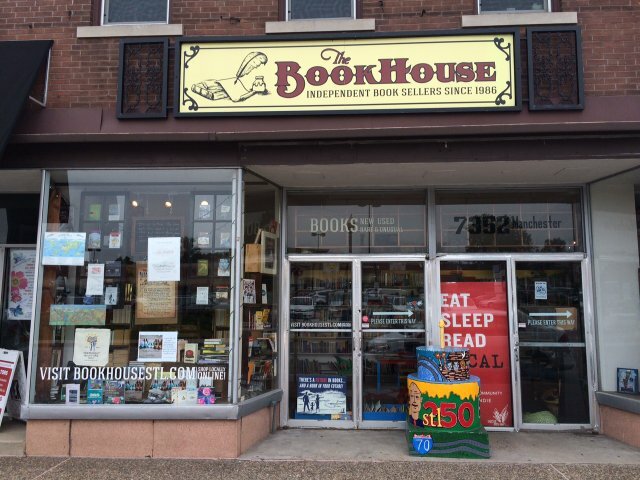 The Book House was once located in a Victorian home! I wish I could have visited this store in its original location, I would have loved the feel of a bookstore in an old house. This bookstore actually closed in 2013 but with the help of their loyal customers they reopened in this location. Doesn't that sound like a better ending to You've Got Mail? Imagine if The Bookstore Around the Corner had been saved by its loyal customers...the idea warms my heart. So the fact that this bookstore was "saved" makes me want to visit it and see just exactly why it is loved so much.